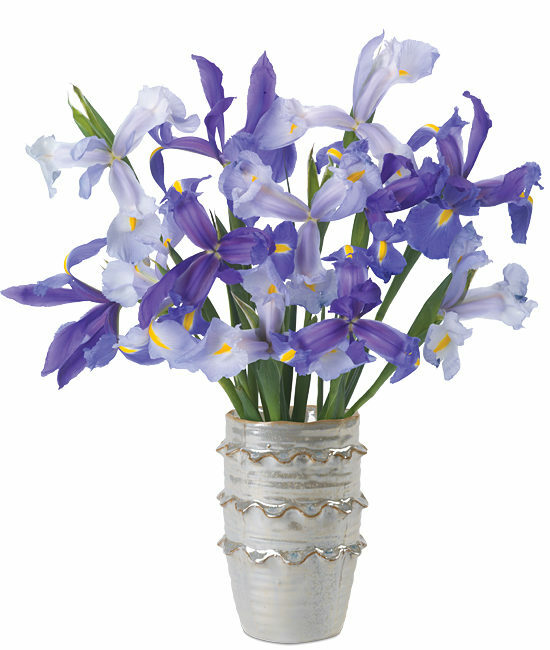 An artistic display of color, form and texture, our Van Gogh Irises are proof that sometimes less is more. 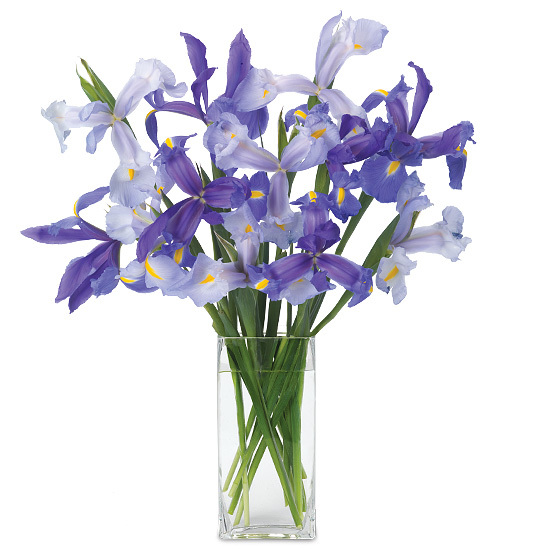 Pale and dark purple Telstar irises create mesmerizing depth and are held in a fancy ruffled ceramic vase adding a little flirt to their attraction. 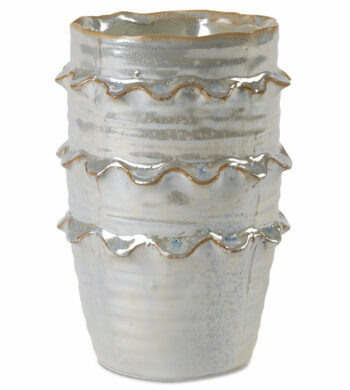 Trim 2″ on a diagonal from the bottom of each stem. We recommend cutting the stems underwater for best blooming results. Be sure to leave enough room to allow iris to open fully. Add fresh water daily and recut stems every other day.